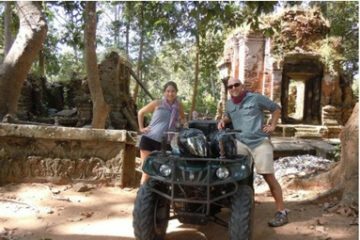 Explore charming Luang Prabang by tuk tuk. Visiting UXO Visitor Center where informative exhibition about existence of UXOs(unexploded Ordnance) in Laos and the efforts done to clear them. Joining a flute making workshop taught by the locals. 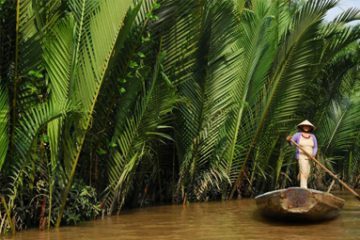 Experience the rich cultural traditions of Laos and gain insight into the day to day lives of the Laos people on this interactive journey in Luang Prabang. 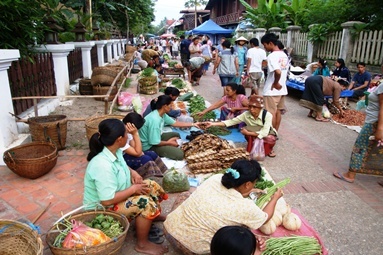 Hop on a tuk tuk and start the day at a morning market, observing and experiencing the daily lives of locals. This bustling fresh food market is very colourful and offers up great opportunities for photos. Next, head to the UXO Laos Visitor Center, which features a simple but informative exhibition about the existence of UXOs (unexploded ordinance) in Laos and the efforts done to clear them. In just under an hour, you’ll gain a good sense of how the UXOs affected, and still affect, the lives of Lao people. 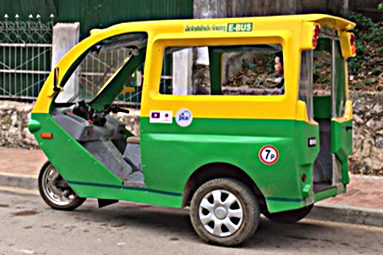 Continue in the tuk tuk just outside of town for a fun and insightful flute-making workshop taught by locals, and learn more about their arts and crafts.